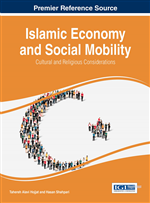 The problem of Islam and modernity has been an important point of discussion in the Arab and Islamic world for decades, though this discussion has taken various forms, such as being called the conflict between the past and the present, or tradition and progress. This discussion has hidden within it clear contradictions when seeking compromise between the Abrahamic religions and present times throughout history. This conflict first appeared in the geographic area known as the Islamic world and looked much like the Age of Enlightenment in Europe in the eighteenth century. However, the true meaning of the conflict revolved around the capacity of Islam as a religion to be compatible with modernity and its philosophy, precepts, politics, and historical facts. This means that Islam was obliged to come into agreement with modernity, which became like the soul and language of the present. Grasping a period’s essence, like creating an expression that describes it, can be complex and difficult to achieve. Though the term modernity is often used to describe the rapid development of technology and information, some have used it in an attempt give expression to the period, or speak on its behalf, in a way that indicates the emergence of new kinds of concepts that have both global and universal features. They are part of the period’s essence. Is there any civilization that refuses to be in harmony with this period and its essence? Is there any culture that tries to be far away from the propounded conceptual and epistemic changes that leave their effects on the whole world and influence all civilizations?